This card was made using the same papers as the last card which was from Crate Paper Restoration Collection. 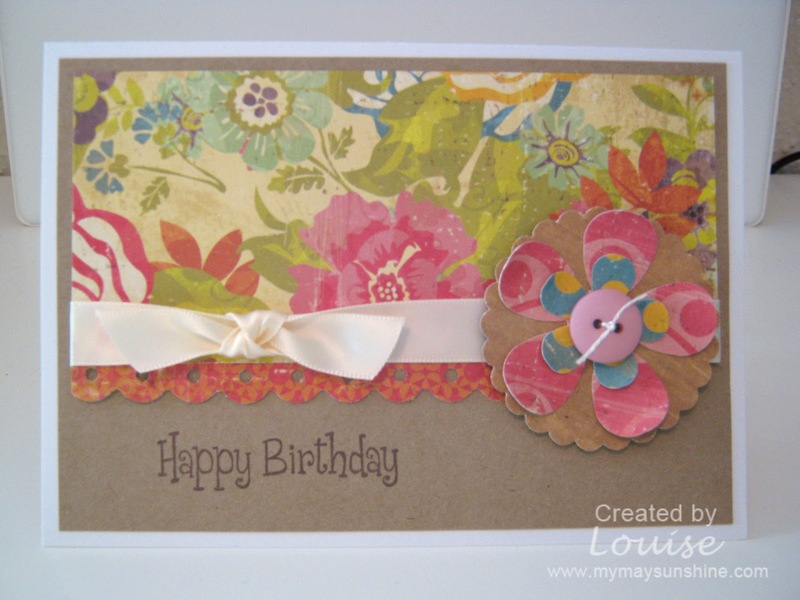 I decided to make this card horizontal and used the Fiskars threading water punch and flowers from EK Success punches. It’s quite a simple card to make but as there are alot of pattern it’s makes the card fuller. Previous Post Bring on the Summer. Next Post 3 little butterflies and 3 little flowers card.